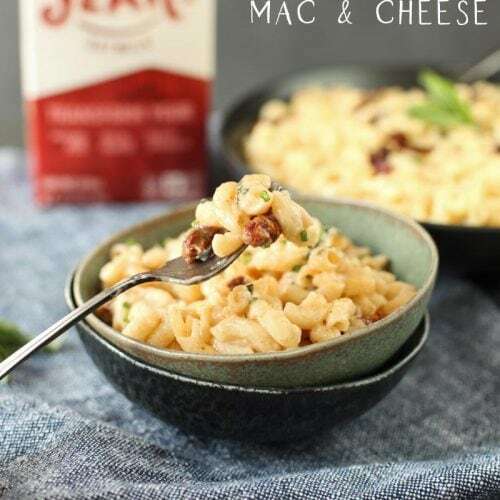 Eating healthy with food allergies just got a bit easier! 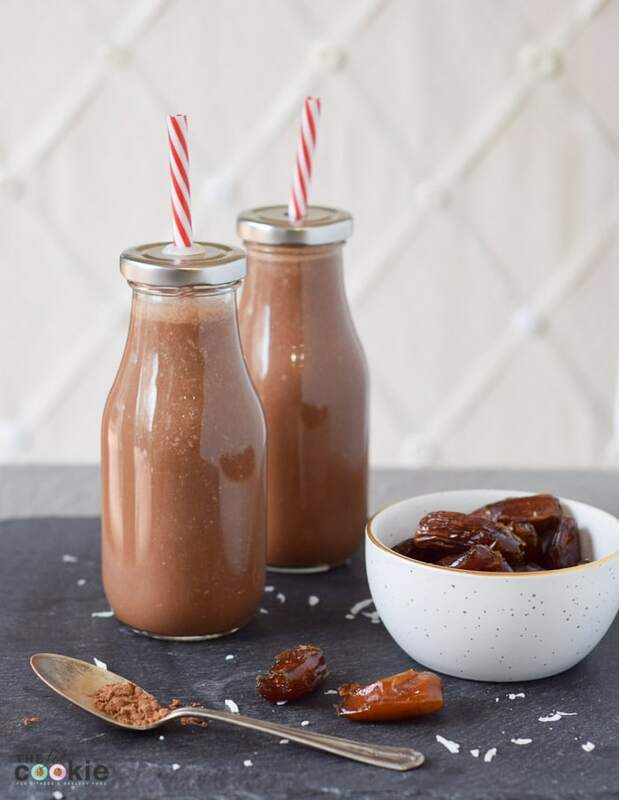 This simple and nutritious Chocolate Date Coconut Milk is made with the NutraMilk, an amazing kitchen appliance for anyone on a special diet. If you’ve been a reader of The Fit Cookie for a while, you know that we have multiple food allergies in our house. 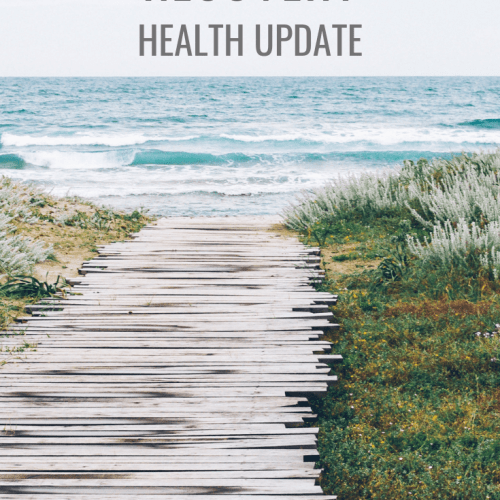 Making sure that we eat healthy meals that fits all of our food allergies and intolerances can be a challenge sometimes, but even though it’s tough, I am so grateful we live in a time when food allergy awareness is growing and there are so many new options out there for special diets! 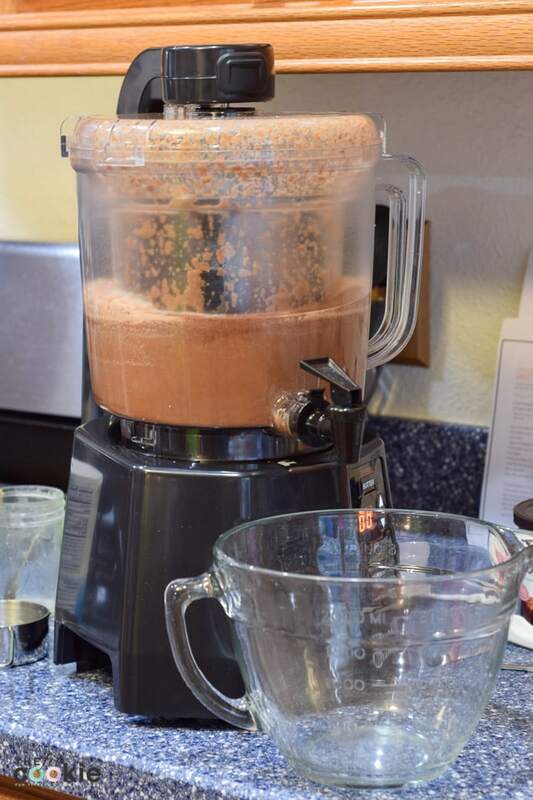 Lately I’ve been using this pretty amazing new kitchen appliance called the NutraMilk that makes homemade nut/seed butters and alternative milks super easy. 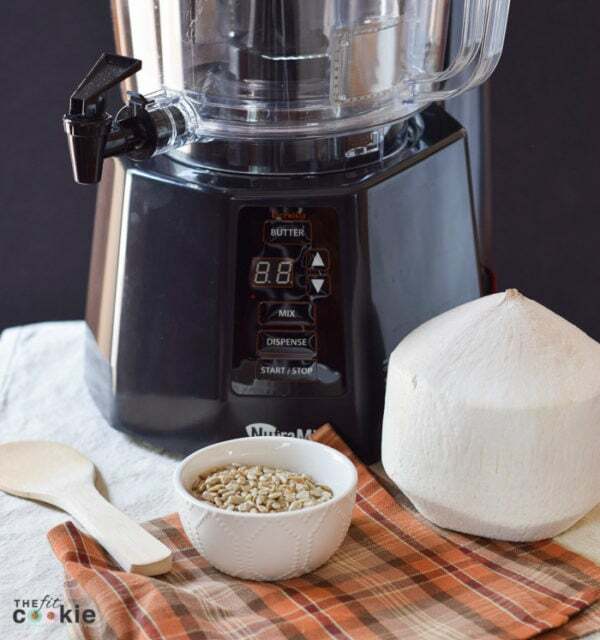 The NutraMilk is a powerful tool that can create nut/seed butters and milks in under 15 minutes and it’s easy to clean. 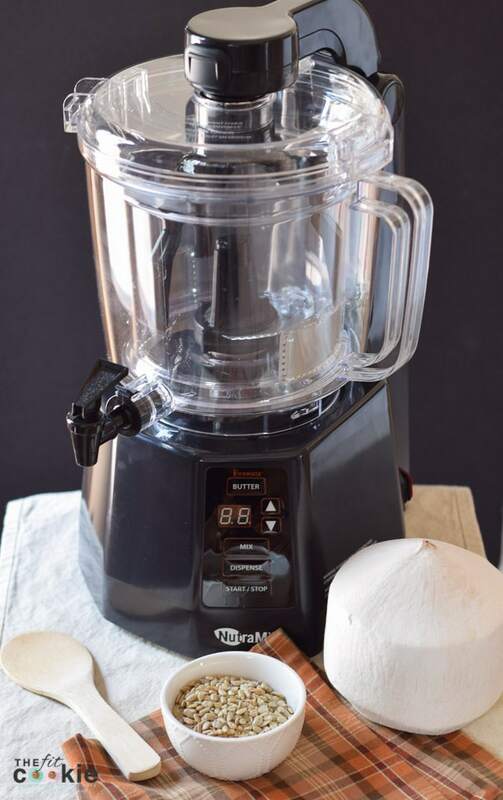 There is no other product on the market like the NutraMilk and it’s versatile (you can make butters, dips, smoothies, and milks), making this a great addition to any kitchen! 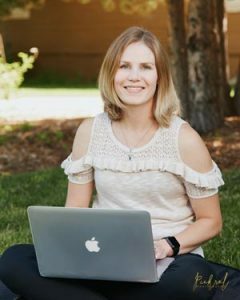 I also love that the company that makes the NutraMilk is based in my state of Wyoming! We’ve had a lot of fun with the NutraMilk since we got it! 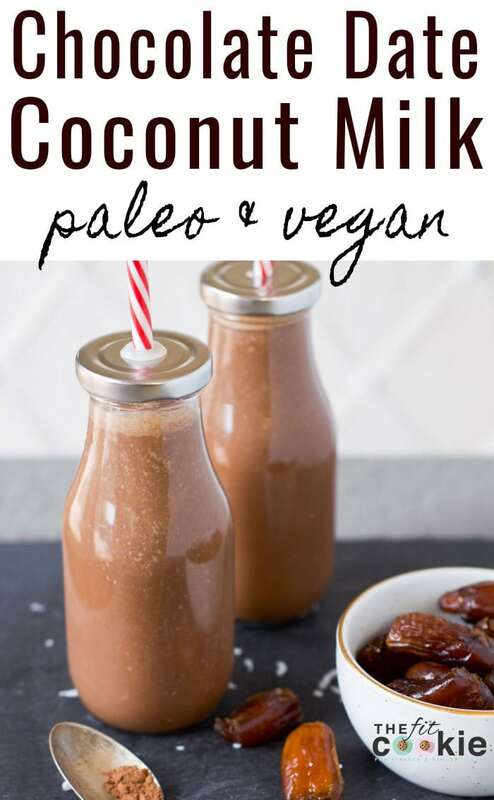 We’ve made sunflower seed and coconut butter blend, coconut milk with fresh Thai coconuts, coconut milk with dried coconut, oat milk, rice milk (which my kids love), and this awesome recipe for Chocolate Date Coconut Milk. 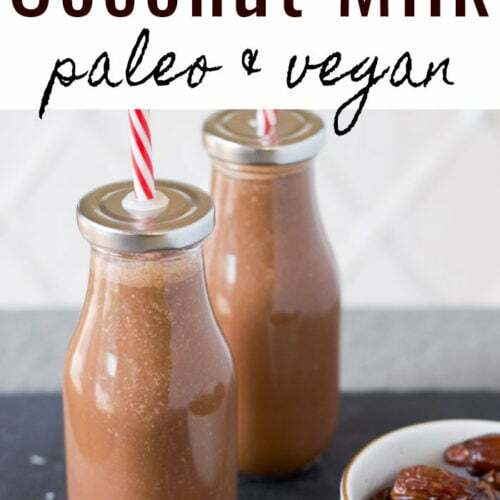 If you crave something chocolatey sweet from time to time, this is a fun way to get that chocolate fix while still eating healthy. This is only lightly sweet, the dates aren’t overpowering in this recipe, so it’s not too sweet. It’s just right! In the photo above, we’re mixing up our Chocolate Date Coconut Milk in the NutraMilk and getting ready to dispense it. After dispensing, you can use the bits of leftover coconut and dates inside the NutraMilk to add to your oatmeal if you want! My kids really like rice milk, so we’ve been making it at home with the NutraMilk. Store bought rice milk usually has a lot of sugar added to it, so making it at home helps to reduce their sugar intake. I just add a few drops of vanilla Stevia to our homemade rice milk and they love it! Check out the video above to see step by step how we make rice milk in the NutraMilk. I’m still making some fun recipes, I can’t wait to share more! 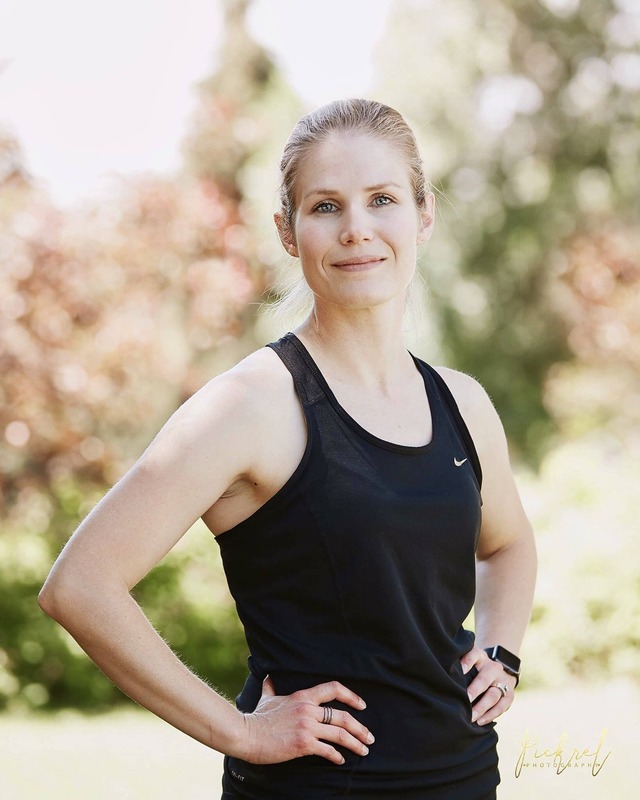 The NutraMilk comes with a recipe booklet with over 200 recipes you can make using their machine. 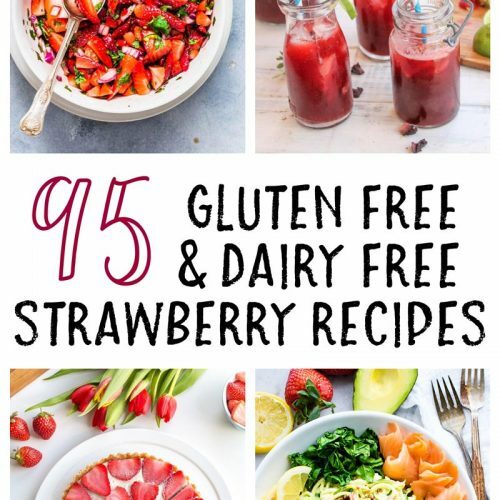 The recipes include basic ones and really unique recipes like Orange Marmalade Almond Butter, Roasted Carrot Hummus, and Coffee Pecan Milk. 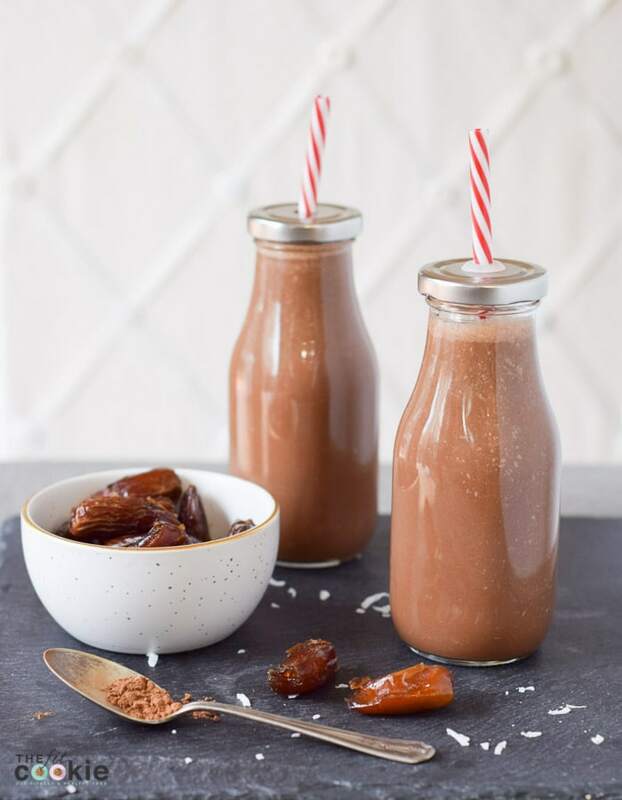 This Chocolate Date Coconut Milk is one of my own creations with the NutraMilk. There are so many ways to serve this milk, too: you can add a few mint leaves to the first few steps to create a fun chocolate peppermint milk, or you can warm it up and add a dash of cinnamon and cayenne for a spicy Mexican-style hot chocolate drink. Lot’s of different options for making this fun! 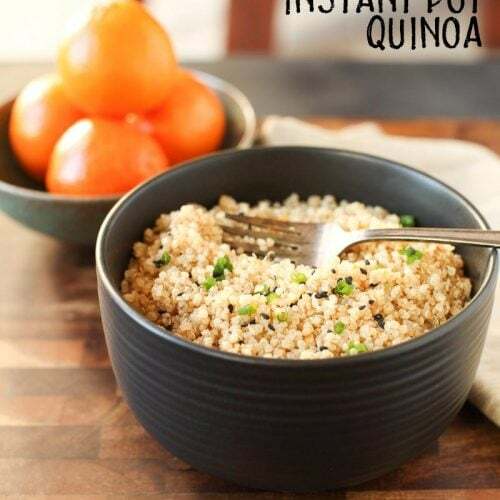 Note: if you’d like to make this recipe without a Nutramilk, you can blend the ingredients in a blender for the same amount of time, and pour through a nut milk bag or several layers of cheesecloth. 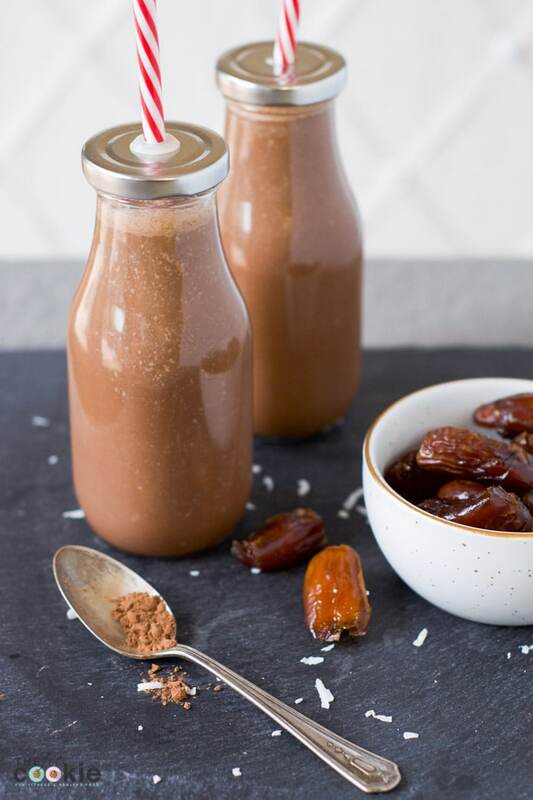 Our recipe for Chocolate Date Coconut Milk is simple and made with inexpensive whole-food ingredients that can be found at any grocery store. 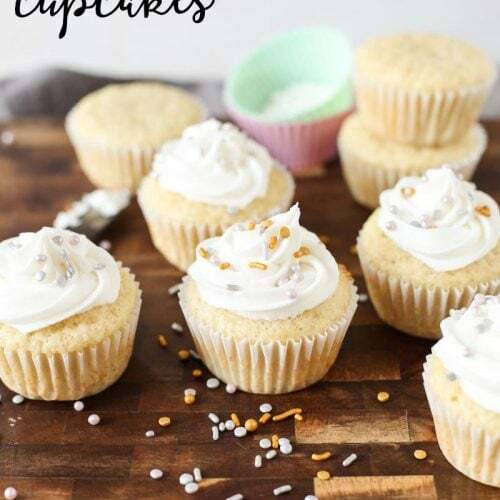 It’s delicious and easy to make! If you know someone who has food allergies or eats a special diet, the NutraMilk would make the perfect holiday gift! Place the unsweetened shredded coconut, and chopped dates, in the NutraMilk container and press Butter Cycle and set for 1 minute. Press Start. Open the container lid and add 1 cup water and the cocoa powder. Run the Butter Cycle again for 1 minute. Repeat this step for each cup of water until you have used all 4 cups. Press Dispense and open up the spigot to fill the storage container. Blend all the ingredients together in a blender for the same amount of time, and then pour through a nut milk bag or several layers of cheesecloth. Once this is chilled, the coconut fat will solidify at the top and some of the sediment may settle. You can skim the fat off the top, or pour it through a small strainer if you don’t want that in your drink. OR you can warm it up and whisk it together again to incorporate the coconut oil back into the drink. 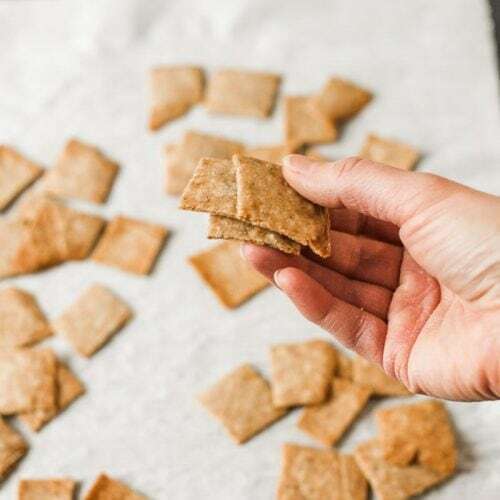 If you’d like to make this recipe without a Nutramilk, you can blend the ingredients in a blender for the same amount of time, and pour through a nut milk bag or several layers of cheesecloth. I recently did a big experiment with all types of homemade milk beverages, and coconut was my all around favorite! Love that you jazzed it up here and how fun with that machine. It’s so easy, I love this machine!